Heat 3T butter and 1/2 cup sugar in an ovenproof pan and caramelise until golden, remove from the heat, stir in 1T honey and 1T cream. Toss 6 sliced pears with the zest of 1 lemon, 1/4t nutmeg, 1t ginger and 1t cinnamon. 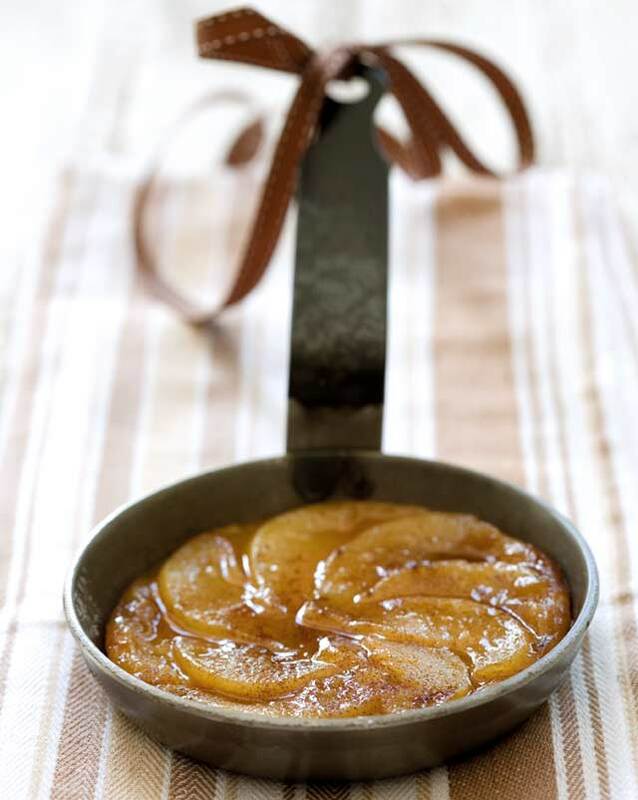 Arrange the pear slices on the hot caramel in the pan, return to the heat and cook until the pears are tender. Place a disc of puff pastry big enough to cover the pan over the pears and bake at 200ºC for 25 to 30 minutes until golden. Cool before inverting the tarte tatin on a serving plate. Makes one big tart or about 6 small ones.